Vasthi yanthram body and tip. Both are plastic. 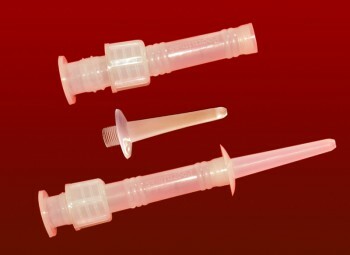 The tip is disposable which is screwed at the tip of the vasthi yanthram. A plastic bag can be attached at the bottom edge of the vasthi yanthram which can be air tighten with the ring at the edge.